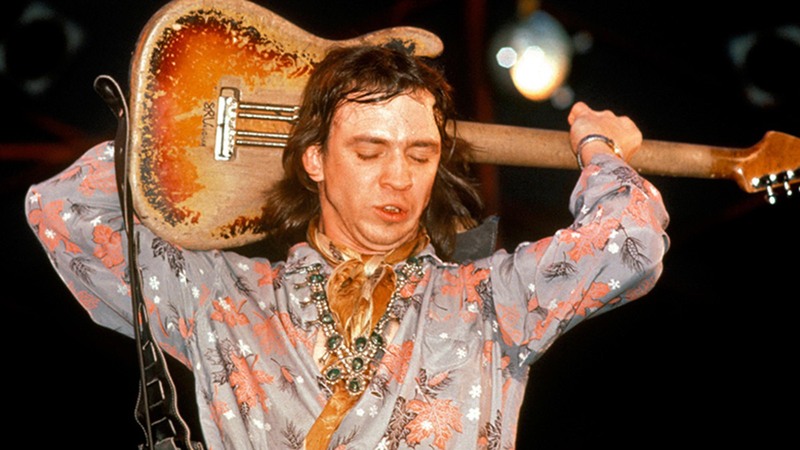 It’s hard to believe that Stevie Ray Vaughan has been gone for nearly thirty years. Vaughan, who reached legendary status in the 1980s for his fluid, fiery guitar playing with his own band, Double Trouble, and on David Bowie’s LET’S DANCE album, was killed in a helicopter crash near Aspen, Colorado in 1990. The man who was at the forefront of a serious Electric Blues revival in the United States was a little over a month shy of his thirty-sixth birthday. His importance and his influence are still felt in the music played by artists across the country and, in fact, the world. That influence is particularly abundant in Saint Louis, as guitarists like Steve Pecaro and Tony Campanella seemingly work overtime to keep the music alive in a city that is known for the Blues. In fact, Pecaro and his band have hosted an annual STEVIE RAY VAUGHAN TRIBUTE show for two decades; the 20th anniversary show, sponsored by Pecaro’s Guitar Shop and radio station KSHE-95, will be happening on Saturday, November 24 at the Pageant. I know that a lot of so-called “tribute” bands are currently cleaning up in a market that seems perpetually stagnant. However, this show is not what most of us have come to think of as a “Tribute” show. Not even close! This is a celebration of the life and music of one of the greatest rockin’ Blues players of all time. With Pecaro, Campanella’s band and another Saint Louis mainstay, Mike Zito, are also scheduled to appear, along with special guests. If the below video is any indication, the Pageant will be packed and rockin’ all night long. Tickets remain for the all ages event, available in advance at the usual outlets for twenty bucks or $22.50 on day-of-show at the venue’s box office, with 21 and up balcony seats available for $25. The doors open at 7:00 PM, with Mike Zito taking the stage around 8:00.